It is yet to be established beyond doubts that the Maoists in Chhattisgarh have killed the Congress leaders on Saturday; but the Prime Minister has lost no time in condemning the Maoists for the killing. So also the rich media and the elite of the country. 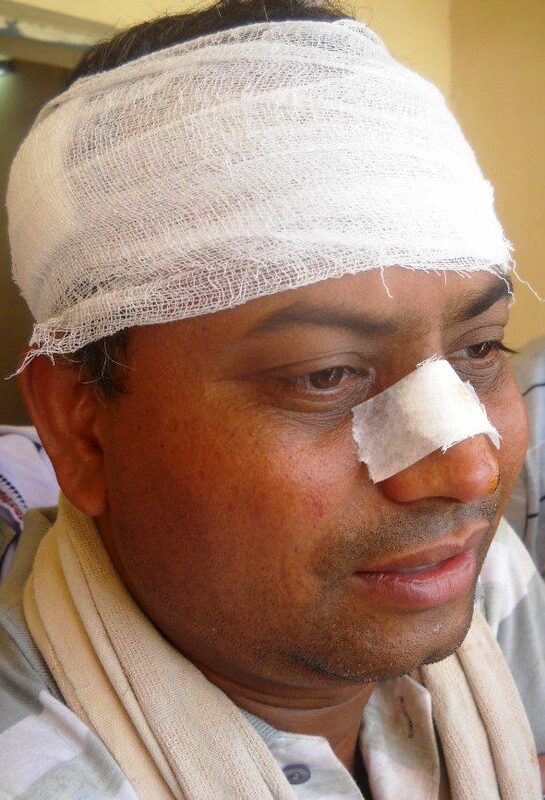 The survivors of the attack also allege that the attackers were the Maoists. And, the general public, thus, is in an environment of believing that the attackers were the Maoists. Words are inadequate to condemn this violence. But we are yet to know why the Government of India run by Dr. Manmohan Singh of the Congress Party and the Provincial Government run by the BJP have not till now told the nation with definite evidence that it is the Maoists and none else that have killed Mahendra Karma and others and so severely injured V.C.Shukla and others in the Bastar ambush. The Congress leaders were in a massive campaign against the BJP and their campaign was christened ‘Parivartana Yatra’, meaning ‘a march for change’. The BJP was/is to suffer if the Yatra succeeds. So, it is BJP that was/is to be affected by the Congress campaign, not the Maoists. And BJP is also not a non-violent party. It is known for violence for power and/or force against the political adversary. So, instead of vomiting set jargons of prejudice against the Maoists, the Prime Minister should ensure that a fact finding investigation into who really caused the mayhem and murder is instituted immediately and completed within a stipulated time. The fact that need not be investigated into is that a set of Congress campaigners for change in Provincial Government were attacked, injured and killed. What needs to be investigated into is that, who did it and why. If the BJP did it, motive is understandable. But, if the Maoists did it, the Government must tell us as to why they did it. Because, unless we reach the root cause, there shall be no remedy. Noted RTI activist Pradip Pradhan has shared with me information officially received that the State Exchequer has coughed up a sum of Rs. 1,04.51.317/- for Justice C.R.Pal Commission of Inquiry, constituted to inquire into the demands of different bar Associations and to make an in-depth study in respect of establishment of a permanent Bench/ Circuit Bench anywhere in the State other than the Principal seat. The Commission was appointed on 11.3.2008 for six months and was asked to report its finding within that period. But, despite several reminders from the government, Justice Pal has not completed his work and not submitted his report. For the tenth time, his tenure has been extended till June 2013. There is no guarantee that the inquiry shall be completed by this time. It is a serious syndrome. If Justice Pal has no expertise or ability to complete the inquiry within the stipulated time, he should have been honest to go away from the assignment; because the delay in completion of the inquiry is injuriously expensive for the State. One may not err if the delay seems to be a means to a continuous earning for the Judge in his retired days. Any retired judge heading any Commission of Inquiry like Justice Pal should be made answerable for draining out of the State Exchequer if he has accepted the appointment to conclude the inquiry within a given time; but has wanted and obtained extensions after extensions, taking thereby more money from the exchequer than what was originally estimated. A Commission of Inquiry on the Commission of Inquiry that causes so much delay in concluding the inquiry is necessary to ensure timely conclusion of the inquiries that State is instituting in matters of urgent public interest. 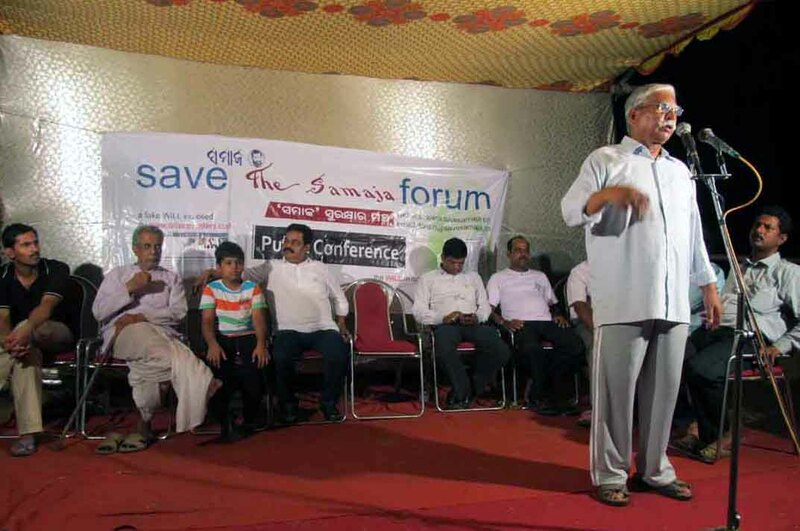 Devi Prasanna Nayak and Subash Chandra Singh, President and General Secretary respectively of the trade union of the Samaja employees and Brajabhai, under whose stewardship the down going paper was brought back to rejuvenation around a decade ago, were given a grand reception in a public conference convened by ‘Save the Samaja Forum’ in a densely populated patch of rural Orissa at Mirjapur of Jajpur on May Day, 2013, immediately after they were released from judicial custody. Pabitra Maharatha, coordinator of SSF initiated the public meeting with a brief description of how release of the trio has proved that for all times to come the miscreants cannot keep the law hoodwinked. He passed on to the participants in the conference the wishes of solidarity sent by eminent journalist Prasanta Patnaik, joint convener of SSF, who, busy in MUFP action against police atrocities on media persons covering the lower Suktel unrest, could not attend the conference. 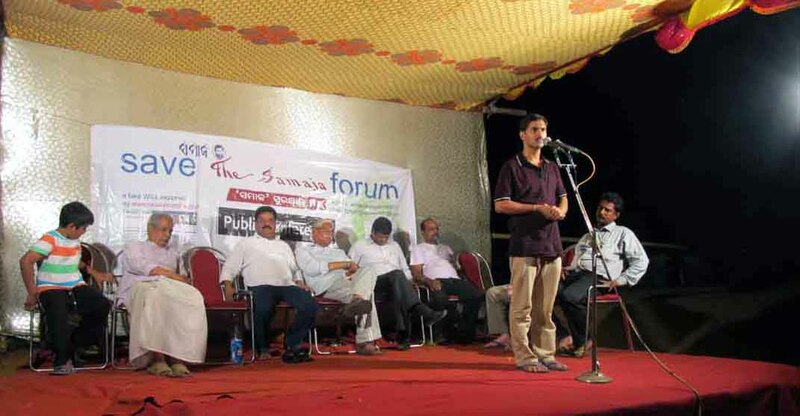 Chaired by journalist Ranjit Raut, the event was addressed by the representative-in-chief of orissamatters.com Sri Subhas Chandra Pattanayak, the other convener of SSF. Welcoming the three victims of false allegations back to their freedom, Sri Pattanayak praised them for their prudent and principled role in dealing with the illegalities the Samaja employees are subjected to. He gave a detail depiction of how the paper founded by Pt. Gopabandhu, revered and remembered for humanitarianism, is being used against human rights of the employees and how unfair labor practices are rampant in the organization in absence of valid standing orders. Devi Prasanna, Subash and Brajabhai had to suffer loss of their liberty because of a nefarious design engineered by a combine of swindlers of the funds of the Samaja and a pack of police black sheep, taking advantage of a defective judicial system, where the primary court does not think it necessary to go beyond the assortment of accusations to be prima facie convinced that the forwarding officer is not influenced by the accuser, said Sri Pattanayak. 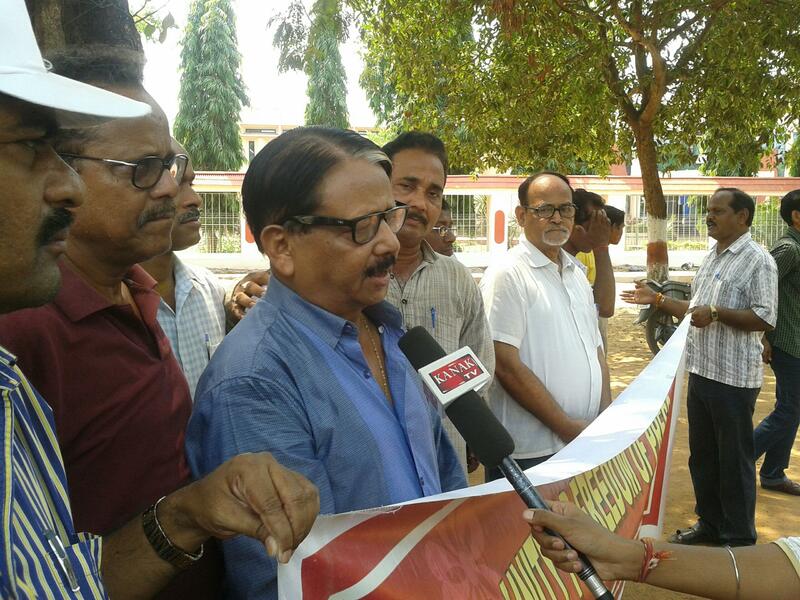 Educationist Benudhar Dobai, and eminent socio-political leaders of the locality Raghunath Das and Laxman Raut expressed solidarity with the trio in their just fight against oppression and against corruption in Utkalmani’s paper, the paper to which the people of Orissa have always emotionally helped. In response to the reception, Brajabhai informed the public that his positive role in bettering the Samaja has led to exposure of the negative role played by fellows like Manubhai Patel and therefore, in nexus with a corrupt police they have coined concocted cases against him. 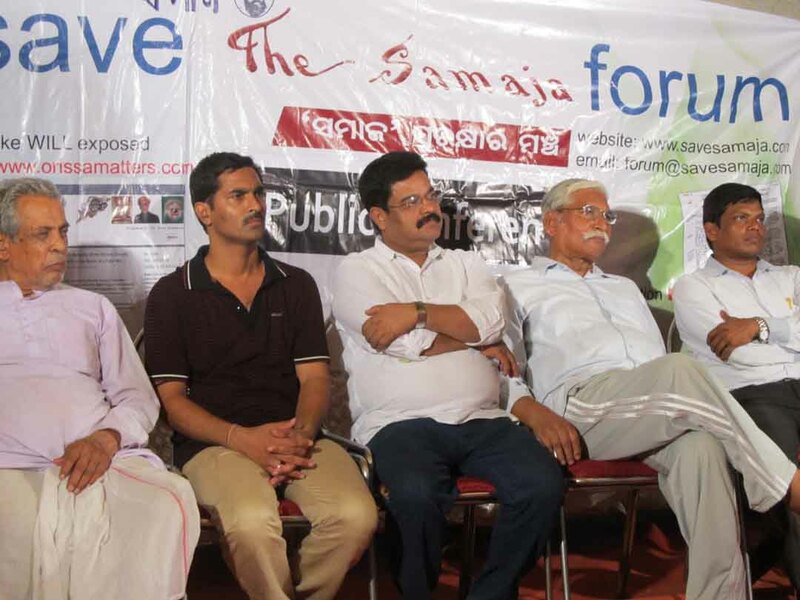 Subash Singh said, the workers and working journalists of the Samaja shall continue to treat the paper as their own and therefore, the looters of the Samaja fund and users of the paper in their own interest would continue to treat the employees as their enemies. But the working class shall win and the manipulators shall fail, he said. 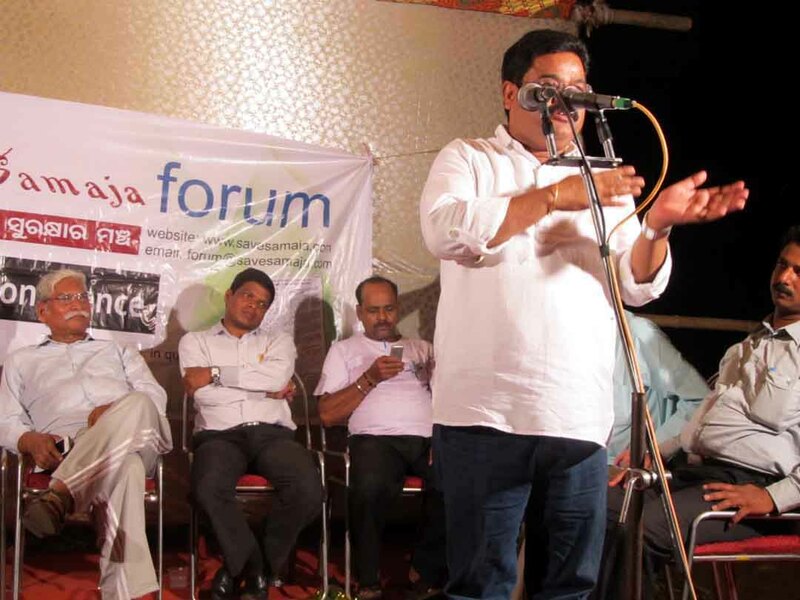 Devi Prasanna Nayak declared that he shall continue to oppose the killing of the spirit of Gopabandhu in the Samaja set up and thanked the general public for its tremendous support to the employees in their fight for justice. Amongst others, educationist Binod Bihari Behera, Prashant Dwivedi, Sridhar Sahu,Subash Mishra, Purusottam Das, Kedar Deo, Uday Mallik, Jnanaranjan Aich, Bijay Kumar Das were conspicuous by their participation. Youth leader Ranjan Deo proposed vote of thanks. 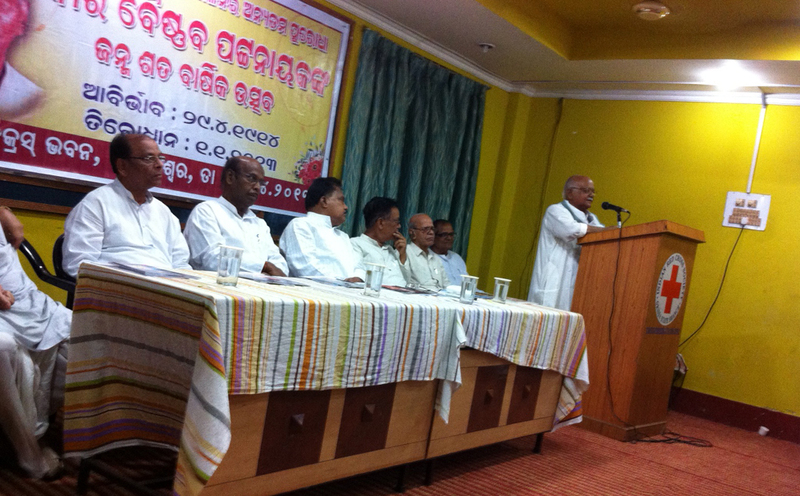 CPI leader Prof. Abani Kumar Baral, in addressing the celebrations of birth centenary of Vir Baisnav Charan Pattanayak at Bhubaneswar on 29 April 2013, has demanded that Kamakshyanagar be re-named Madhi, in memory of the freedom that Pattanayak had given it in leading the people’s war against the tyrant king of the ex-state of Dhenkanal. The legendary leader of Prajamandal movement had declared war against the king of Dhenkanal and in that war, Madhi was liberated from the pernicious control of the king. So, in the history of India’s freedom movement, Madhi has a unique place. But the shrewd tyrant had wiped out the name of this historic place by changing its name from Madhi to Kamakshyanagar by the name of his son, before abdicating his throne. Continuance of this name is an insult to the sacred memories of Vir Baisnav as well as to the martyrs this battle had given to the motherland, he pointed out while demanding that the name of Kamakshyanagar be changed back to Madhi. CPI(M) leader Sivaji Pattanayak, Ex-Minister Prafulla Ghadei, MLA Prafulla Malik, MLA Navin Nanda and Minister Rajanikant Singh also agreed that Kamakshyanagar should be changed to Madhi in view of its historic uniqueness. Jogesh Chandra Tripathy presided over the meeting.